One of the most important factors in developing a viable charter school is the ability to recruit and retain students. Most of your financial support will come from the state and federal governments, based on a per-pupil allotment. When planning your program, it is critical that you understand how many students you need to support it, and are realistic about the level of interest in your program and your ability to recruit students. That being said, while dollars are essential, your educational vision should drive your decision-making. Minnesota Statutes 124D.10, subdivisions 8 and 9 govern charter school admission policies. In general, Minnesota charter schools must admit any applying student for whom there is room in the appropriate grade or class. As public schools, charter schools must admit all eligible students, regardless of race, national origin, ethnicity, gender, language proficiency, physical or mental disability or academic or other achievement. 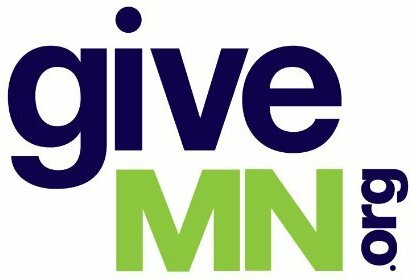 Minnesota law specifically states, “a charter school may not limit admission to pupils on the basis of intellectual ability, measures of achievement or aptitude, or athletic ability.” Charter schools must be non-sectarian in their admissions policies, and may not charge tuition. Residents of a specific geographic area where the percentage of the population of non-Caucasian people of that area is greater than the percentage of the non-Caucasian population in the congressional district in which the geographic area is located, and as long as the school reflects the racial and ethnic diversity of the specific area. What happens if the number of applications exceeds the capacity of the program? Except as stated above, charter schools must enroll any eligible pupil who submits a timely application, unless the number of applications exceeds the capacity of a program, class, grade level, or building. If the school receives applications from more students than can be accommodated, students must be selected based on a lottery. Applicants who do not receive places in the lottery should be placed on a waiting list, in the order they were selected in the lottery. Siblings of an enrolled pupil and foster children of that pupil’s parents. Each charter school may set its own application deadline and lottery date. When setting deadlines and planning recruitment activities, schools may want to keep in mind deadlines set by surrounding school districts. This is especially important in districts like St. Paul, where there are many options from which to choose. These open admissions policies apply to conversion schools as well. Those considering converting a district public school to charter status should know that students who attended the district school would not necessarily be admitted to the charter school if the number of students who apply exceeds the school’s capacity. Part B of the Individuals with Disabilities Education Act (IDEA), which calls for a free and appropriate public education for all students, and special education and related services to eligible students with disabilities. “Applying Federal Civil Rights Laws to Public Charter Schools,” published by the US Department of Education’s Office of Civil Rights (2000). Federal Non-Regulatory Guidance relating to Federal Charter Schools Program, Title V, Part B(August, 2003), which provides guidance on admission policies and other topics for charter schools that participate in the Federal Charter Schools Grant Program. This program provides much needed start-up funds for charter schools. The Federal Grant Program is discussed in greater detail in the Finance section. NWREL Charter Starters Workbook 2, Regulatory Issues. Because of the open admissions policy, charter schools must be prepared to serve a wide variety of students, including, for example, those with special needs, limited English language proficiency or who are performing below grade level. Charter schools must be flexible, and understand that their actual student population may differ from the population they thought they would serve. In reality, many families choose schools for reasons unrelated to the specific program offered, such as proximity to home or work, or the attendance of their children’s friends. A special note is warranted regarding special education. A student may not be denied admission because of special education needs. Currently, approximately 12% of students enrolled in Minnesota charter schools require special education services. As a local education agency, each charter school is responsible for providing these services, although they may bill the local school district for the cost of these services. Special education is discussed further in another section of the handbook. As part of the application process, charter schools should make sure that families understand the school’s program, so they can choose the school that best serves their children’s needs. While any student may enroll in any school, not every school is a good fit for every student. For example, a student who needs direct instruction may not thrive in an independent learning environment and a student with little interest in the arts may not be engaged in an arts-focused program. Schools employ a variety of strategies to make sure families clearly understand their programs and can assess whether it is a good fit for their child. These might include community presentations, interviews, school visits and written materials. Some schools offer prospective students the opportunity to spend one or more days at the school. This strategy may be particularly valuable for schools implementing less traditional or less well-known strategies, like project-based learning or the Montessori method. You should begin working on admissions and enrollment policies and materials as soon as you have decided what grade levels will be served and approximately how many students will be enrolled in each grade. It is important that these policies are in place before you begin to recruit students, especially if you expect to receive applications from more students than you can accommodate. If you expect to serve families with limited English language proficiency, you should consider preparing forms in multiple languages, and/or developing a system for helping parents who do not speak or read English complete these forms. In the course of operating your school, you will be asking parents for a lot of information. You may be more successful in obtaining this information if you can limit the number of requests. Try to be creative in developing forms that serve a variety of purposes. The school choice movement has taken hold in Minnesota, and families have a number of K-12 options. While offering options is clearly positive for students and families, the competition created by these options makes it especially important that each charter school have a strong student recruitment program. Before getting too far down the road with your program, you should know whether there is a market for your program. You might think you have a great idea that meets a need, but are there actual parents who share your perspective and would be willing to send their children to your school? At the high school level, students are actively involved in the decision-making process. If you are developing a high school program, are there students who are interested? Charter developers are strongly encouraged to conduct a market analysis for their program. Make sure you have a clear vision and mission and can communicate it to the intended audience. Focus on your program’s strengths, but don’t “over promise.” Be honest and realistic. Nothing hurts a school more than being unable to deliver on significant elements of the program. Focus on what is good about your school, not what is bad about the district schools. Where appropriate, use hands-on activities to help families understand your program. Develop a clear, succinct brochure that describes your program. It doesn’t have to be fancy or expensive, but make sure it is well written and appealing. You don’t want the public to have a negative impression of your school because your brochure is full of spelling errors or is badly copied. You might want to develop a web page where families could request materials, or even register, on line. Whatever kinds of marketing materials you develop, make sure prospective parents know how to follow-up and get in touch with a live person at the school. Make sure your contact information is accurate. Make sure you understand your target population. Make sure materials and presentations are in the language and at a level your population can understand. Often a more targeted recruitment effort is more successful than a wider effort. For example, running ads in a neighborhood newspaper may generate more interest than those in a major paper. Use parents and students. They will be your best recruiters. Here are some of the strategies that various Minnesota charter schools have used in recruiting students. They are listed in no particular order. Depending on the type of program at your school, and the audience of prospective students you want to attract, you’ll probably use some combination of tactics. Seek attention in the local media. This can include calling and sending information on your program to newspapers and radio and TV stations serving your target area. A new school starting up is likely to be considered noteworthy enough to merit some attention. When interviewed by the local press, it’s best to avoid negative comments, i.e., don’t bash the existing school system. Clearly state your purposes in starting the new school and how your program will help children learn. Contact the Center for School Change to enter your school in the Profiles of Minnesota Charter Schools, a searchable, online directory of charter schools in the state. Take out paid advertising in the local media. You’re likely to have a limited budget for marketing, but local newspapers can be relatively inexpensive, and this is another way to put your name and message before the public. Announce school events through public service listings. Local newspapers may have events calendars where a school grand opening or open house for prospective students and parents can be listed. Contact social workers, probation officers, welfare officials and people in similar occupations and give them information that they in turn can give to families with whom they work. Go door-to-door passing out material on your program. This can be particularly effective if you’re targeting specific neighborhoods. The door-to-door strategy is clearly very labor-intensive. You may want to recruit volunteers – parents, older students, other community members to help. Ask yourself where your targeted audience is likely to spend time, and drop off school materials in those places, e.g., daycare centers, community recreation centers, barber and beauty shops, libraries, stores and other local businesses. Post flyers/posters advertising your school around the neighborhoods you are targeting. Attend meetings of community groups to talk about your program. This could include block clubs, community councils, tenants’ organizations, and cultural organizations, or places of worship. Join your local chamber of commerce, and/or attend meetings of a local business association in order to build ties to the business community. Contact real estate agents so they will have information on your school to give to potential homebuyers who are often interested in area schools. Participate in local street fairs or festivals. Community groups or local chambers of commerce will be able to tell you about these events, which may allow you to have a table or booth to hand out information about the school. Do mass mailings to targeted areas. Mailing lists are available from a variety of list brokers (look under Mailing Services in the Yellow Pages) and can easily be targeted to specific groups by geographic area and family characteristics, e.g., parents with children in a specific age range. You’ll be able to reduce mailing costs a great deal if you have a non-profit bulk-mailing permit. Encourage current parents and current or former students to spread the word about your school. A good word from a neighbor or friend will mean more to a parent than any message coming directly from the school.